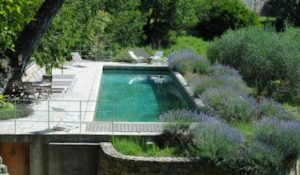 Nestled between Maison Lambot’s garden and olive grove is a 20 m swimming pool. The cellar, used for olive production in the 18th Century, now houses the gym and a cinema room. Our luxurious, cosy living room has a large working wood fireplace and 40″ 4K Television. 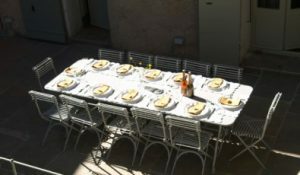 The dining room opens onto the terrace which offers a barbecue and dining area for twenty guests. 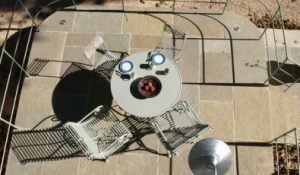 There is private parking on the property.